"How much will my divorce cost?" The cost of your divorce depends on the complexity of your case and on how well you and your former partner are able to agree on things. If your financial situation is complicated, for instance, if you are self-employed, your divorce will cost more than someone with a simple financial situation. Similarly, if you and your former partner are unable to agree on arrangements about the children, this will increase your costs. If an agreement cannot be reached there will be a trial, which will increase your costs dramatically. 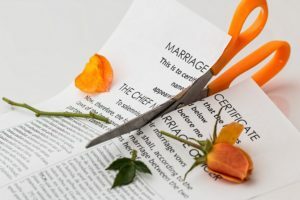 While the overall cost of the divorce cannot be predicted in advance, a good family lawyer will provide you with cost estimates for each step of your divorce. As well, a good family lawyer will provide you with monthly invoices, so that you can keep track of how much the divorce is costing. "If I am successful in court, will I have to pay my legal costs?" On a motion or at trial, if you are successful, the judge may award costs to you. Similarly, if you are not successful, you may have to pay your former partner’s legal costs. However, often a judge will not award costs, especially in contested child custody cases. As well, the costs award is not intended to be a total repayment of your legal costs, but rather a contribution to your legal costs. Normally, costs awards will cover between 1/3 to 2/3 of your legal costs. You can also make an "offer to settle." If you offer to your former partner to settle the case, and you do better on the motion or trial, your award of costs will be increased. Again, this depends on the complexity of your case and on how well you and your former partner are able to agree on things. If no issues are contested, the court will process your application for divorce in about 3 months. If there are contested issues, it can take a year or more to resolve them or to obtain a trial date.